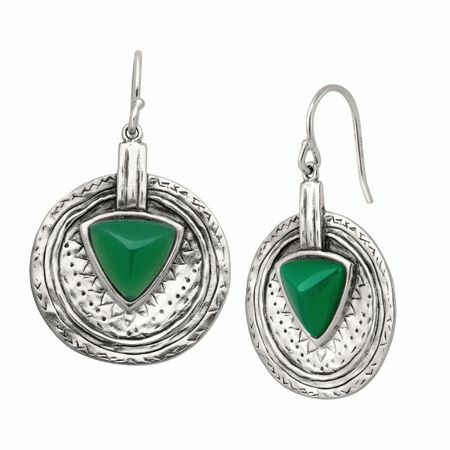 Artisan-crafted sterling silver disks hold triangular, emerald-colored agate stones, creating a pretty pair that coordinates perfectly with cool colors. Don the Emerald Isle Earrings with a royal-blue blouse and crisp, white pants for a look that's vacation-ready. Earrings measure 1 1/2 by 1 inches and feature French wire back findings. Pieces come with “.925” sterling silver stamps as symbols of guaranteed product quality.